It’s always a poignant moment, saying good-bye. I’ve never been good at it. Even as a small child, I wept bitterly at the end of each Mickey Mouse Club episode. As soon as the farewell theme began to play, “Now it’s time/to say good-bye/to all our com-pa-ny. . .” I would begin to wail. We’re talking MAJOR attachment issues, right? Fast forward to adulthood, to midlife, and to this past weekend, when I sat before one of my book cases, ready to say good-bye to some old friends. I felt anxious. Some had been with me for years; others, pleasantly but briefly. I’m talking about BOOKS. I love books: I love their weight, their smell, the texture of the paper, the fonts, the cover art, even the index. Reading on my computer screen doesn’t compare with the sensual delights of The Real Thing. I love a room full of books. They are a comforting, comfortable and essential part of the decor and personality of any home. However, as with the landscaping around the house, a bookcase must be tended, weeded, and yes, even pruned from time to time. I don’t know what inspired me, as I cast a ruthless eye upon each shelf. 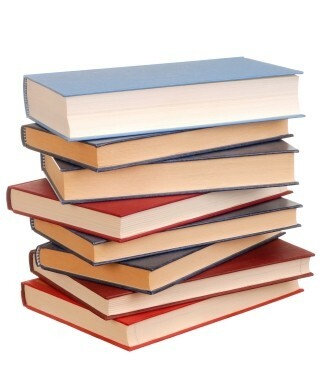 Within about fifteen minutes, I had selected about twenty-five books that I was ready to part with. Some I remember buying after a particular occasion, like having heard the author speak. Some, I had no idea when or where they had appeared. I remembered each one; this one was pretty good, that one was a big disappointment. And yet, I had kept them hanging around, even though I hadn’t read some of them in years. Into a big bag they went, awaiting a trip to Half Price Books later today. The books that remain are truly useful, beautiful, or loved. Best of all, there’s now room for more. Over a lifetime of experiences, we “fill up” just like a bookcase. We acquire our own ways of doing things, from putting on our trousers to beating an egg to reading to speaking to walking. Some of these preferences and patterns are learned on our own, some are studied, and some arrive as a compensation for pain or hardship. Our nervous system stores all of this learning, all of these patterns, and accesses them when needed. It also keeps stuff around that, while useful at one time, is now obsolete. For example, the protective postures you develop after an injury can persist long after the damage has healed. Old beliefs (“that’s just part of aging,” or “I could never do that”) hang around, unexamined and taking up space. “Pruning” the book case doesn’t have to be painful, and making room within ourselves for new possibilities can be surprisingly simple. Moshe Feldenkrais developed an ingenious way for people to become aware of the habitual patterns ingrained uniquely in each nervous system. The patterns show up in the way you move, sense, feel, and think. Movement can become streamlined, efficient, graceful, and comfortable. Changes in movement allow emotional tone and thought to improve. Your system recharges, regenerates, reboots itself. The more your awareness develops, the easier it is to clear out the old and make room for the new. ← All signs point. . .
Mary Beth, you are such an insightful writer. I look forward to your weekly commentary. Your analogy of the books helps me think more creatively about the way I carry my body, the way I think and respond and feel about things. Maybe it is time for me to do a housecleaning of myself and send the old habits to Goodwill. Thanks again for your comments. Wonderful reminder of the need to clean out, make room for something new. Books are friends but books left sitting should be moved along, shared with others, given new life in the eyes of another. Then new friends, new books, new habits, new movements, new ground can be plowed…. Here in the desert we are always pruning otherwise everythings gets entangled However even in that entanglement, some life is sheltered, nest filled with chicks. All forms are allowed, but what life benefits varies.